You'll find your reports more easily and quickly. There's a new help system, too. 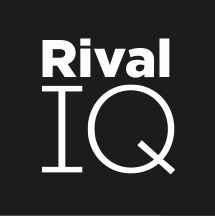 With this release, we've updated our in-app navigation to make using Rival IQ faster and easier. As the Rival IQ product has grown over the years, we've packed more and more analytics goodness into the same navigation. Things have gotten a little cluttered, and it was time for our navigation to get some love. After much testing with a variety of customers, we have a set of improvements that you'll really like. Expandable sidebar sections in the navigation, including groups for public social data, private data, and SEO. Promoting Social Posts to be the default page for all social sections. Renaming the Overview reports to Landscape Comparisons. A new help system on help.rivaliq.com. You'll find all of our documentation here.